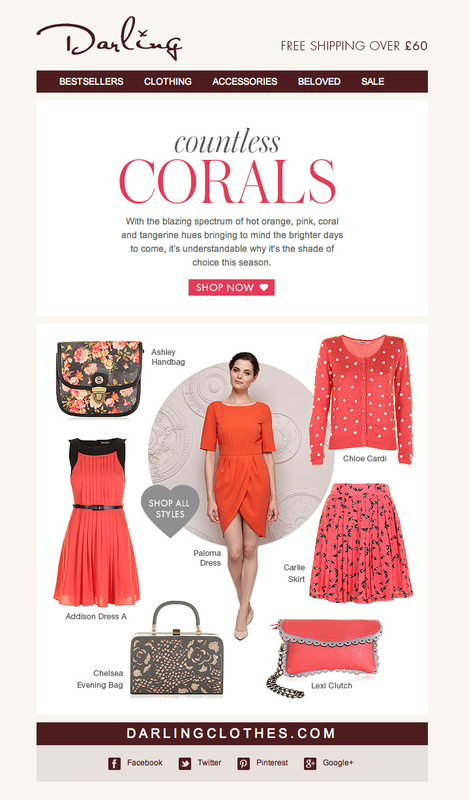 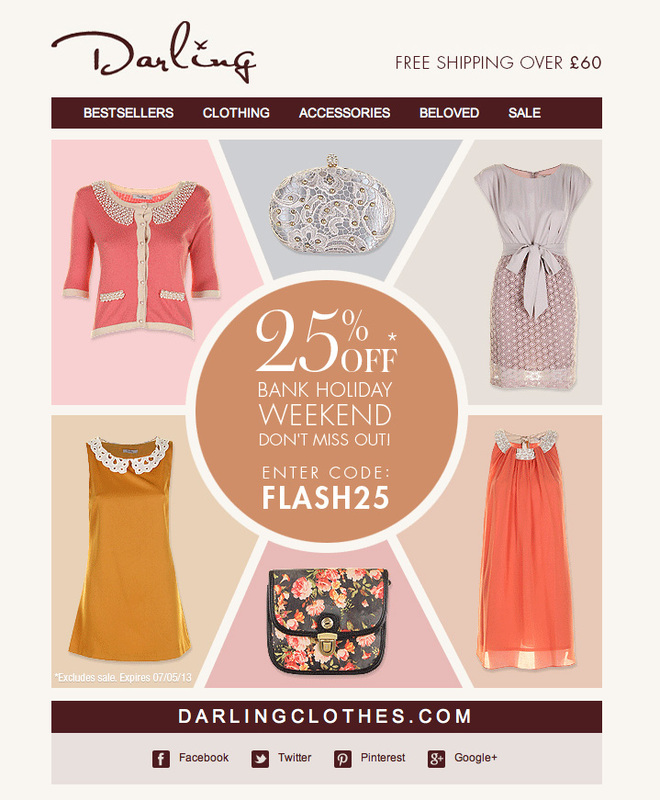 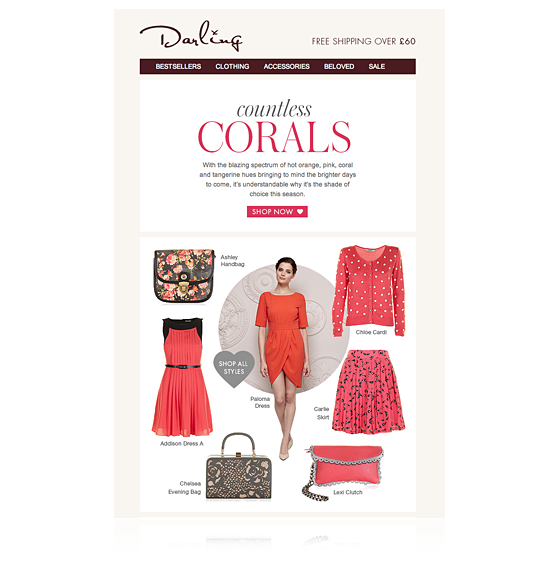 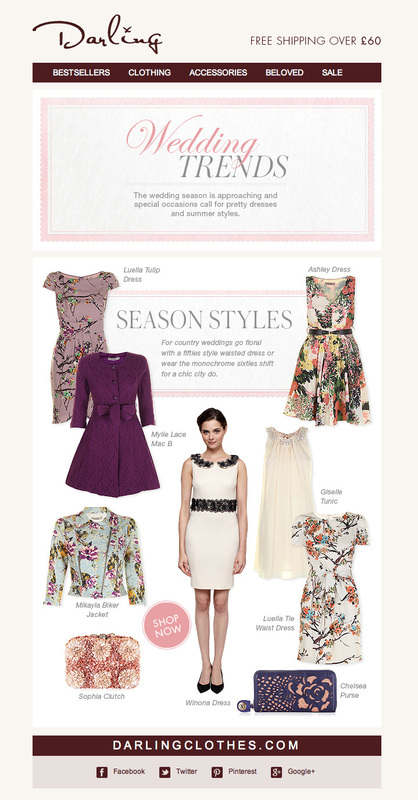 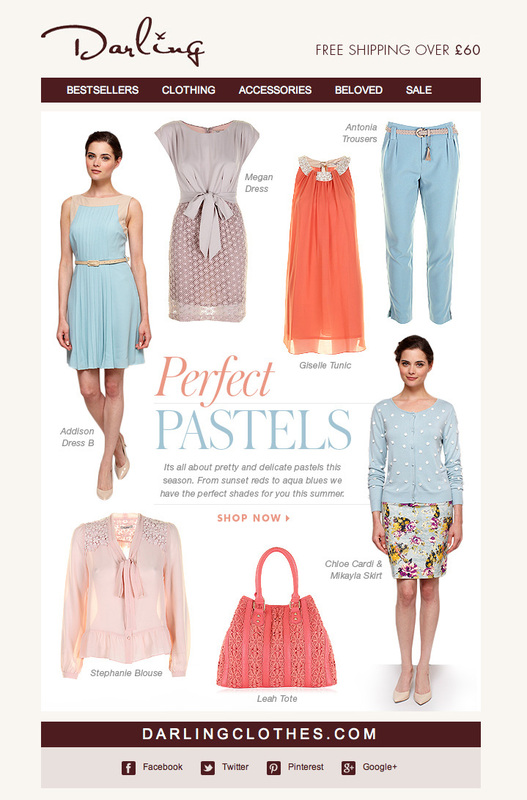 The Elegant and vintage women's fashion brand Darling Clothes promote social competitions, sales and special offers to their customers and is boosted through email newsletters that I have built. 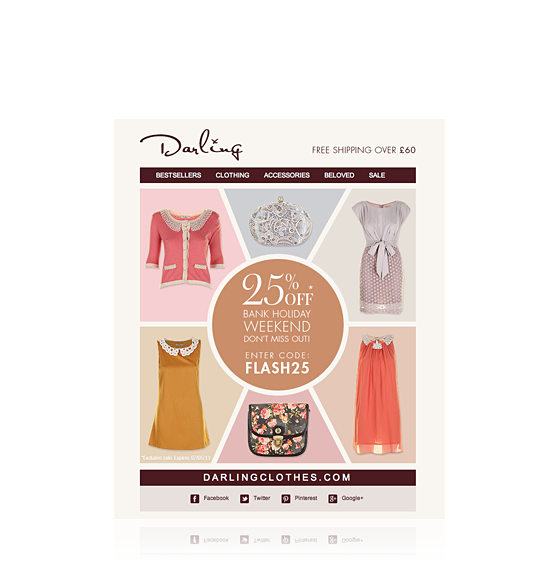 Sometimes as many as 2 newsletters per week were created at peek sale times. 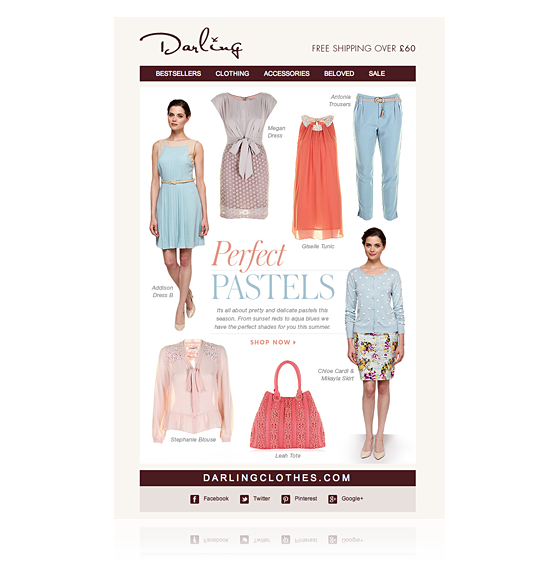 Every email is different and needs to promote a different message to the customer in conjunction with website banners and graphics.